Hundreds of video games get released every year, and there’s not enough time to play them all. How are you supposed to know which games are worth your time? The many game review sites and video game news sites on the internet are here to help. Whether you want to check on a game’s quality before buying it or just want to browse the latest headlines, one of these seven good game websites will serve you well. 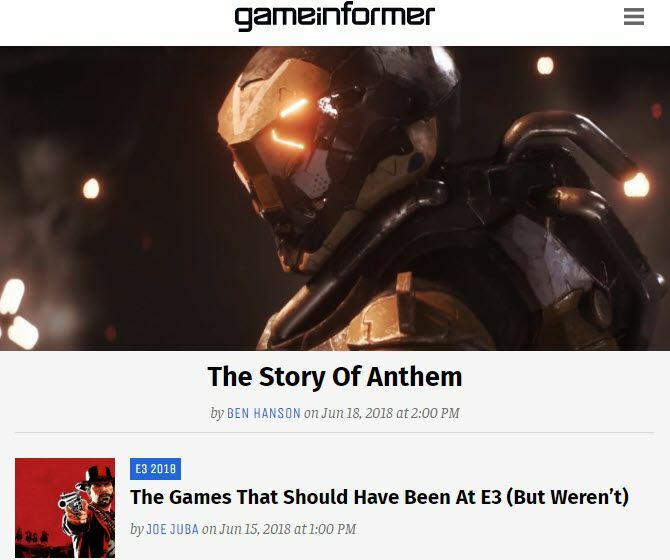 Video games journalism has gone through a lot of problems in the past several years. It began when writers gave overwhelming praise to independent games that received poor reviews from actual players. As it turns out, this was indicative of some major issues. It has come to light that writers for several mainstream gaming sites, such as Nathan Grayson at Kotaku, have given positive coverage to independent developers such as Zoe Quinn while they were financially supporting them and even in intimate relationships with them. Kotaku’s editor-in-chief saw no issues with this. Further, many well-known games journalists were part of a mailing list known as “GameJournoPros.” In this, they colluded to cover various topics from a certain perspective and cover up breaches of ethics such as giving biased coverage to friends. Plus, these sites often focus more on social and political issues when reviewing games than their actual quality. Infamously, Polygon’s review of Bayonetta 2 praised the game technically, but gave it a reduced score because of its “blatant over-sexualization”. More recently, Kotaku argued that Cuphead was racist because it was inspired by 1930s cartoons, even though the developers didn’t include anything offensive. Games cannot just be games to these websites; they must examine everything for its “troubling” social and political undertones. These are just two examples of the types of articles that these outlets publish every week. Unsurprisingly, the two sites that have had the most ethical problems are Polygon and Kotaku. I simply cannot recommend you visit websites that focus more on social issues than games, commit awful breaches of journalistic integrity, and then blame their audiences when these issues are pointed out. This brings up an important point: pay attention to the writers you’re reading, not just the site. There really isn’t a “best game review site” since quality differs among reviewers. Other mainstream sites like IGN haven’t had ethical issues as deep, but their reviews have been subject to criticisms such as listing “too much water” as a con in the Pokémon Alpha Sapphire and Omega Ruby review. A lot of mainstream sites also post tons of unrelated movie/TV content which can make gaming content hard to find. They’re worth a look, but not the best websites you can find. 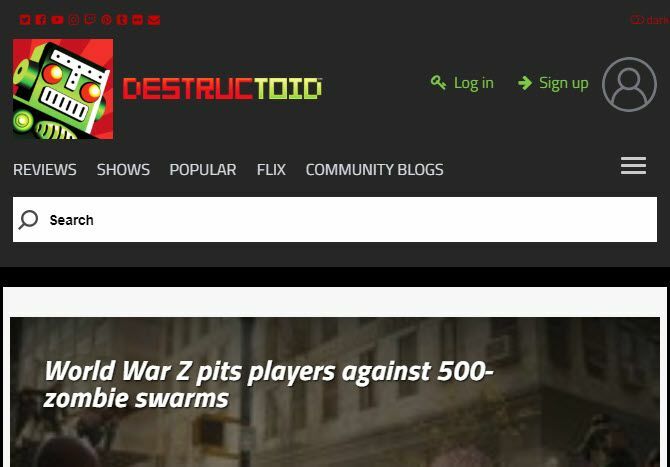 Destructoid is a great all-around gaming site with a bit of everything. It publishes content regularly, with dozens of articles appearing each day. This includes updates on certain games, previews of upcoming games, and opinion pieces. It’s not just a gaming news site, though. Destructoid publishes reviews of console and PC games, as well as mobile titles and even DLC. Its reviews are straightforward without a lot of nonsense, and they follow a clear scoring system. Top off this coverage with video content, community blogs, and a section on movies and TV, and you’ve got a solid video game website. 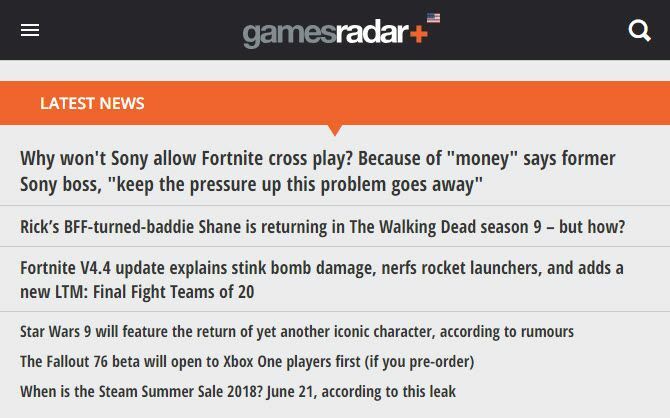 Another one of the gaming news sites that offers a healthy balance, GamesRadar+ provides news, reviews, features, hands-on looks at new games, and more. You can view articles by your favorite system (PS4, Xbox One, or Switch) or check out the latest news and reviews. GamesRadar+ doesn’t review the volume of games many other sites do. At the time of writing, the site’s last 20 reviews date back about five months. This shows that its staff takes their time and doesn’t rush out reviews. In the reviews, clear Pro/Con lists and a summary of the verdict make them easy to skim. GamesRadar+ provides lots of content to check out, as well as quick stories for staying abreast of gaming news. Game Informer is a long-running video game magazine, and it also has a website. Unlike other websites that feature content for movies and TV, this one is all about games. You’ll find news, previews of upcoming games, reviews, and features. It’s an old-school take on a game website in the overcomplicated modern age, which is welcome. Many of the staff are longtime game players, and the site has a professional feel to it. Reviews break down the most important points, like Graphics, Playability, and Replay value. Overall, Game Informer is a website from people who love video games for the players. The site doesn’t review every little game, but what’s here is excellent and there’s no political nonsense to worry about. 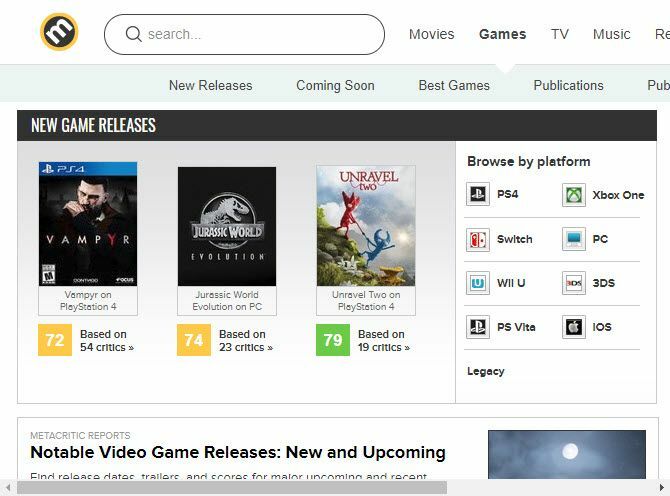 If you don’t feel like wading through reviews and just want a quick score to see if a game is worth playing, Metacritic is for you. It’s not a review website in itself, but instead aggregates scores from various game review websites (similar to Rotten Tomatoes for movies). Search for a game, and you’ll see a weighted score from 1-100. You can click through to read individual reviews or compare what the critics thought to user reviews. A lot of the time, it’s hard to sum up a game’s quality in a single number. Thus, many people have issues with the weight placed on Metacritic, but it’s a fine place to start your research on a game. Just remember that a score isn’t everything. As the name suggests, this is the best gaming news site for Nintendo enthusiasts. Nintendo Life specializes in covering the Nintendo Switch, 3DS, eShop, and similar topics. You’ll find reviews, news, features, and even original video content. With a pleasant community in the forums and comments sections, this is a must-visit for all Nintendo fans. The features standout here. They provide guides to major games, such as how to unlock all the characters in Hyrule Warriors or where to find secrets on Fortnite’s map. The site reviews downloadable eShop titles as well as mainstream releases, so there’s a lot of coverage. 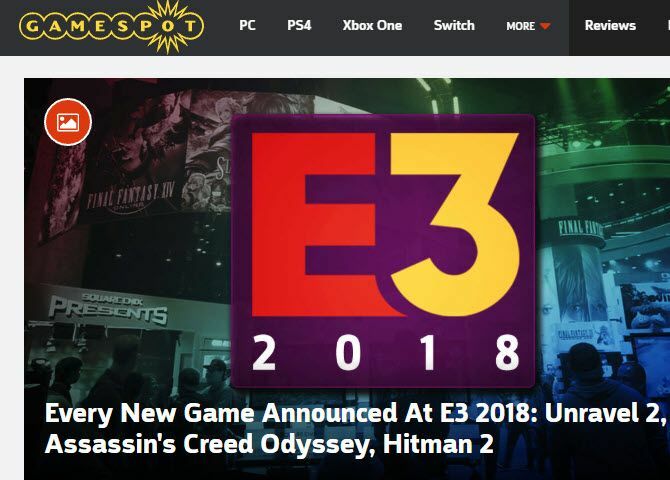 GameSpot is a well-known gaming site that’s worth a visit. You’ll find popular and recent news on its homepage, along with tabs to filter by your favorite game systems. The site reviews games both popular and small on every platform. For something a little different, you can also check out its video shows and forums to connect with other gamers. There are some occasional quirks with its reviews, like the writer mentioning that they didn’t play through the entire game. But overall, it’s a quality resource. With the above discussion of bias in games, you might think a site with an obvious predisposition is an odd choice to include. 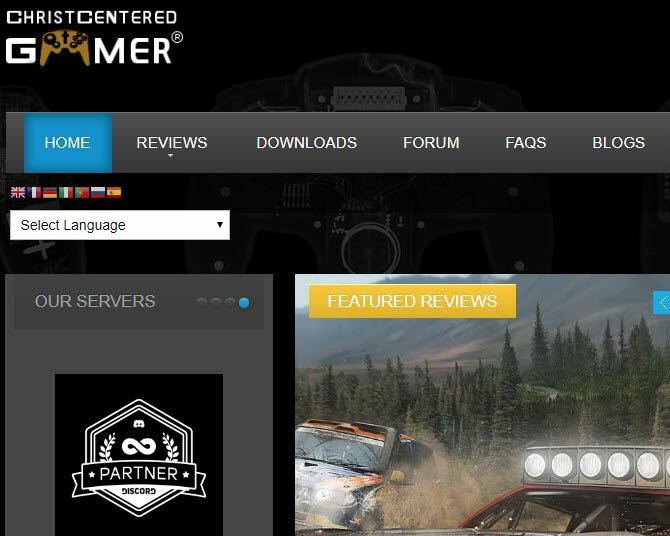 But Christ Centered Gamer has received praise for its clear reviews from those concerned about the ethics of mainstream game sites. Unlike sites like Polygon that let biases influence their ranking of a game’s quality, this site separates its reviews into two scores. One scores the game technically on its gameplay, controls, and other qualities. The other scores the morality of the game, based on factors like language, sexual content, and similar. If you’re a person of faith or concerned about your children playing an inappropriate game, you can take the morality score into account. But if you don’t care about that, you can skip right past it and enjoy a quality review. This isn’t as well-known as some other game review sites, but it’s up-front about its biases and hasn’t had concerning breaches of ethics. You may find it refreshing. What Are the Best Video Game Websites You Trust? The best video game websites aren’t necessarily the ones you hear about often. Every game website has some drawbacks, whether it’s a lack of ethics, poorly justified review scores, or a radical bias. But these seven sites are great places to get your video game news and reviews. In addition to them, we recommend that you find some YouTubers or Twitch streamers that you enjoy. Game websites employ dozens of people, which makes it difficult to find a consistent voice. With a single YouTuber, you can understand their preferences and see if a game is right for you. Plus, seeing a game for yourself always helps.